Highway 78 @ Priscilla Lane Tupelo, MS. | MLS# 14-1702 | Pickwick Lake/Iuka, MS Homes for Sale, Property Search in Pickwick Lake area. 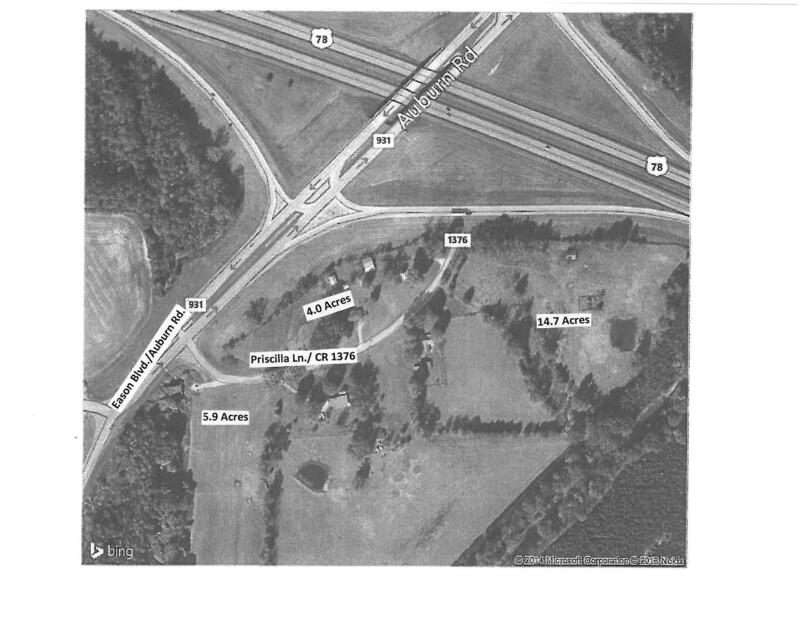 Property with great visibility and access at the Auburn Road exit on Highway 78. Largest parcel is 14.72 acres plus adjacent 4.0 acre (@$260,000) and 5.95 acre (@$110,000) parcels so almost 24.7 acres is available. Tupelo finished extending city water and sewer lines through these parcels making them ready for commercial or industrial use.